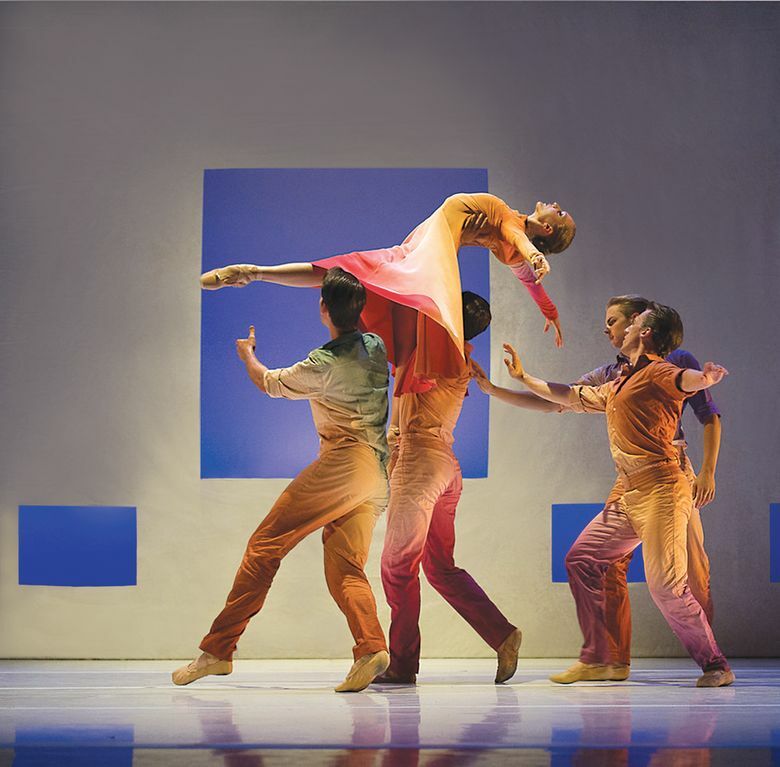 Choreographer Jessica Lang’s new work, “Her Door to the Sky,” making its local premiere at PNB this week, is inspired by the “patio door” paintings of Georgia O’Keeffe. Choreographer Jessica Lang’s new work, “Her Door to the Sky,” making its local premiere at Pacific Northwest Ballet next week, is inspired by the paintings of Georgia O’Keeffe. Lang, first seen at PNB with “The Calling” in 2015, said in a recent interview that she was intrigued by this year’s centennial of O’Keeffe’s first solo exhibition in New York – it seemed a perfect opportunity to explore the artist and her work. That research took Lang, specifically, to O’Keeffe’s “patio door” series, which began in the mid-1940s. O’Keeffe, inspired by the walled patio and black-painted door of her winter residence north of Santa Fe, created a number of paintings depicting a black door with boxlike shapes beneath it. The art plays with the geometric shapes of the patio; Lang’s ballet, featuring a backdrop with cutouts mirroring those shapes (a large opening suggesting a door, along with smaller windowlike squares through which dancers can be glimpsed), does the same. March 17-26, McCaw Hall, Seattle; $30-$187 (206-441-2424 or pnb.org). “Her Door to the Sky,” made for 10 dancers, is set to Benjamin Britten’s “Simple Symphony.” “I was looking for something that gave that kind of support of pastoral grand vistas, this big feeling of space,” Lang said. The costumes, designed by Bradon McDonald (whose name might be familiar to watchers of “Project Runway”) feature “all those magnificent colors that can be found in the West, in the mountains” — vivid earth tones of rust, yellow, green. “Her Door to the Sky” made its world premiere at Jacob’s Pillow Dance Festival last summer, and was Lang’s first experience setting a work on PNB’s full company. (“The Calling” is a solo work.) She enthusiastically spoke of the company’s strengths. “Her Door to the Sky” will be presented as part of a “Director’s Choice” repertory evening. Also on the bill: the U.S. premiere of David Dawson’s 2015 work, “Empire Noir,” and the return of William Forsythe’s “New Suite,” last seen here in 2015.